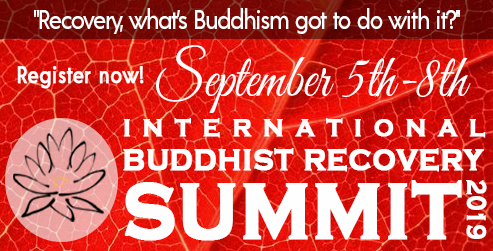 Recovery: What’s Buddhism Got to Do With It? Early Buddhist teachings on addiction and recovery. Using stories and suttas from the Pali Canon to address modern challenges. Review and experience the many formats for Buddhist Recovery meetings: Refuge Recovery, Heart of Recovery, Eight Step Recovery, 12-step focused, other. Buddhist Recovery past, present and future. Where do we go from here? How can the BRN help? The Summit will be held at the Gwinwood Retreat Center in Lacey Washington (site of the 2017 summit). Sitting on 29-acres, Gwinwood features 18 acres of forested land, 4 acres of open meadows and 7 acres of undisturbed wetlands, all fronting beautiful Hicks Lake. The summit fee will include accommodations and vegetarian meals.